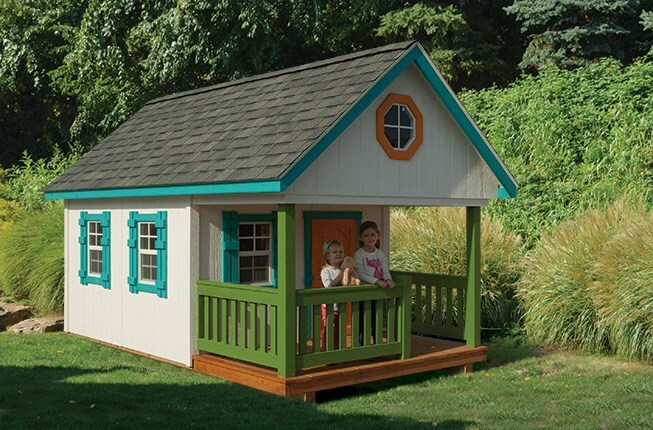 Escape plastic playhouses with a real little wooden house of their own, made to last through a whole family of childhoods. Child-safe glass in the windows. An adult door on the side or back. Safe for childhood imaginations, no matter how wild! Nine super-bright colors give free rein to creativity. How about a dash of Princess Pink, Dill Pickle Green, Kid's Orange or Viva Violet? Castle, 8'x8'. 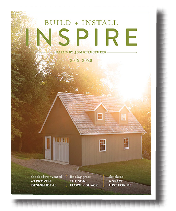 Special KidzSpace touches: SmartSide siding in Charcoal Gray with Soft White trim, pine door in Trail Bronze stain, Medium Gray shingles. Clubhouse, 8'x12'. 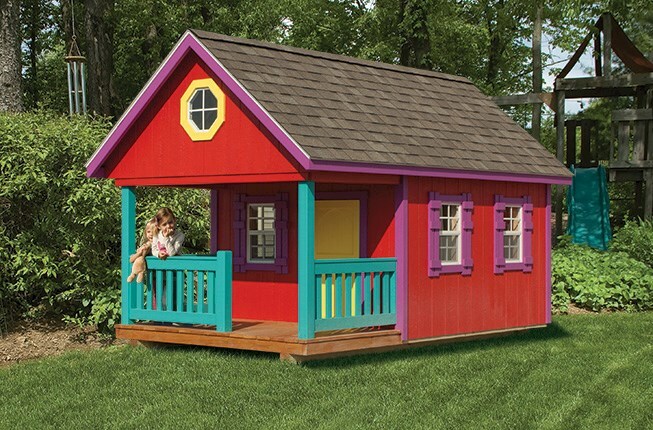 Special KidzSpace touches: SmartSide painted Cherry with Viva Violet, Turquoise and Lemon, Weathered Wood shingles. Clubhouse, 8'x12'. 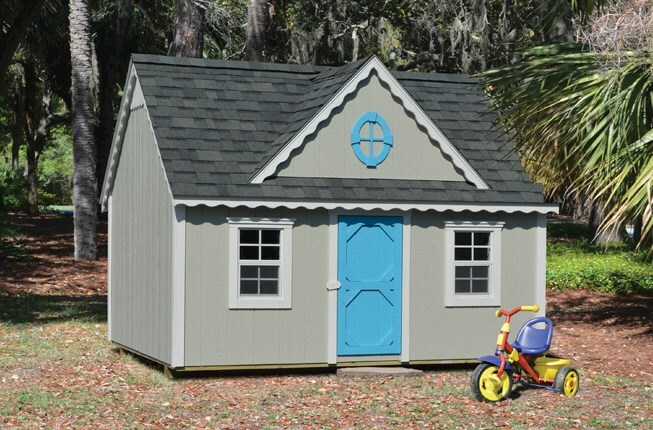 Special KidzSpace touches: SmartSide in Soft White with Pumpkin, Turquoise and Grass, Medium Gray shingles. Victorian, 8'x8'. 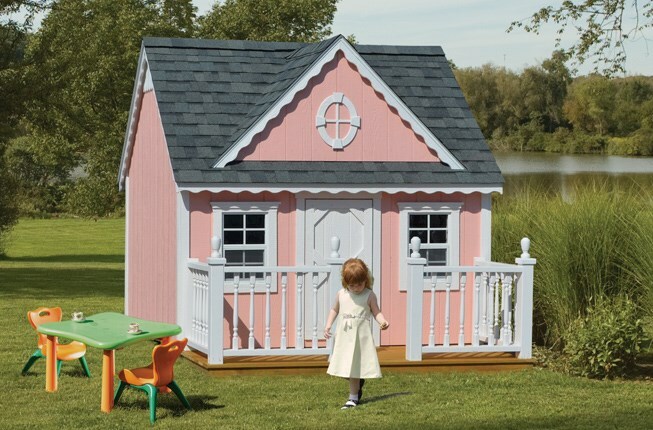 Special KidzSpace touches: SmartSide in Princess Pink with Soft White accents, Medium Gray shingles, 3'x8' deck with railing. Victorian, 8'x8'. A pirate captain’s hideaway? 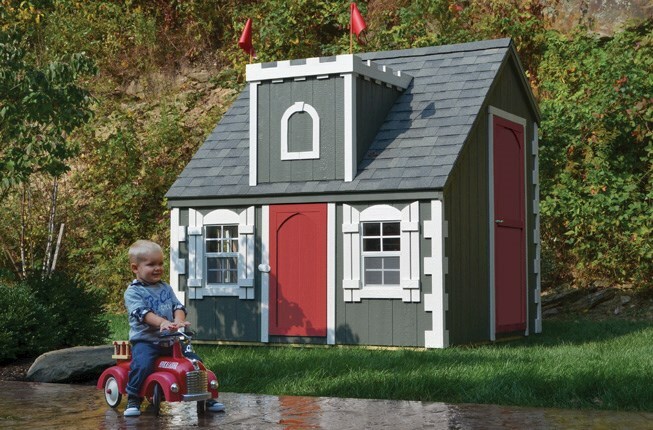 Special Kidzapce touches: SmartSide in Ocean Mist with Soft White and Cool Blue, Medium Gray shingles. Victorian, 8'x10'. 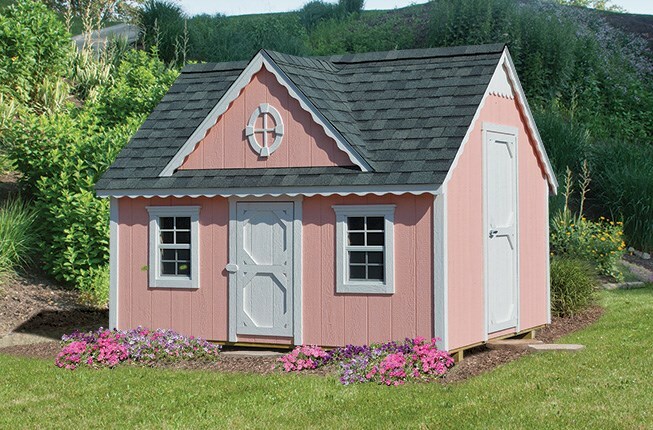 Special KidzSpace touches: SmartSide in Princess Pink and Soft White with Medium Gray shingles.